This is a Shady Lady Oncidium Orchid. 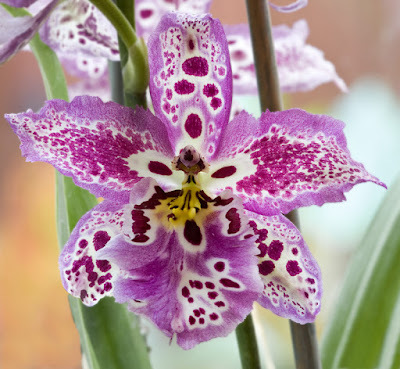 Its bold purple color is quite vibrant and the spots are remarkable. This variety does come in a few different shades and the patterns also tend to vary. Technical Specs: Canon 1D3, 180mm macro, f/11, 1.6s, ISO 200.